Adopted twins Ruby and Eenayah have busy 21st century lifestyles on different continents, juggling successful careers with motherhood and marriage. 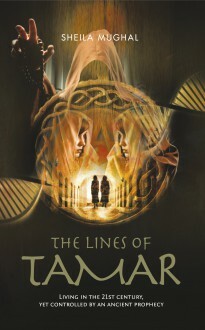 Yet neither knows of their shared connection to a sacred lineage – nor do they have any idea that an ancient, hidden prophecy from thousands of years ago is about to wreak havoc in both their lives, with terrible consequences. The twins’ search for their birth mother uncovers a direct link to ancestors from biblical times, and leads to the discovery that they belong to an unbroken line of female twins. It seems one of them is now reliving a former life – a life which is fated to end in tragedy.